The first Singapore Airlines 787-10 in Charleston. Photo: SIA. 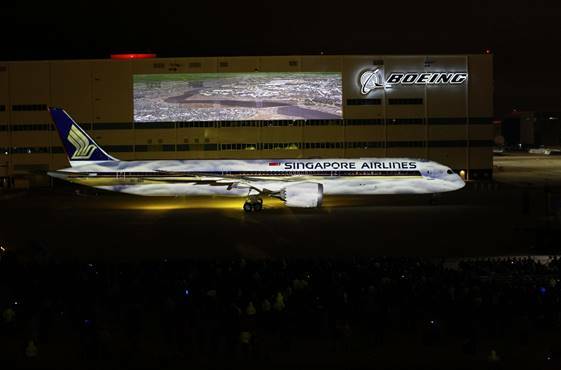 The Rolls Royce engine blade deterioration problems that have grounded many 787s over the past two years have hit new one-year-old aircraft operated by Singapore Airlines. Thus far the engine maker has taken a £790 million loss on the 787 engine wear issue. It’s been a thorn in the side of for Boeing 787 Dreamliner operators around the world with aircraft grounded and others having their range restricted. Early this year Rolls-Royce began installing redesigned Trent 1000 intermediate pressure compressor blades after they were certified by the US Federal Aviation Administration and European Aviation Safety Agency in late December. It said that it expects the number of planes on the ground to reduce progressively in 2019 and for flight restrictions to be lifted on aircraft with engines fitted with the new blades.